Nearly half of new teachers do not feel properly equipped to deal with violence in the classroom, a survey suggests. Figures released to BBC Breakfast suggest two-thirds of newly qualified teachers have received no clear guidance on restraining violent pupils. The Association of Teachers and Lecturers, which surveyed 1,001 of its members, is calling for training in this area to be made compulsory. The government said new teachers were supported in tackling poor behaviour. The ATL survey of 1,001 student teachers, newly-qualified teachers and probationers in England, Scotland, Wales and Northern Ireland, found 49% felt they had not had enough training to deal with challenging behaviour. Nearly 55% of those still training felt they were not getting enough guidance on the issue. One in five felt they had been provided with clear guidance on restraining violent pupils, though nearly 30% said they had not yet covered the area in training. In more extreme circumstances, "appropriate restrictive holds, which may require specific expertise or training", may be used, it says. 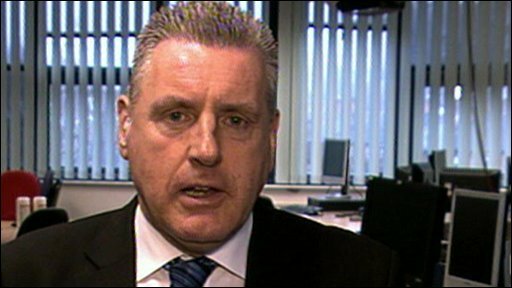 Schools minister Vernon Coaker said the government backed the proportionate use of force. He said: "We know that we live in the real world, we know that sometimes teachers will be faced with difficult situations." The first thing a child will say to you if you go to break up a fight is "you can't touch me my mum's gonna sue you"
ATL says the problem with the official guidance is that teachers are not clear on how to interpret it. The union's Sharon Liburd said: "These violent confrontations can erupt very very quickly, they [teachers] need to be clear about what sort of steps they can take to try to stop the situation from escalating, if they have to physically intervene and how in fact they do that." Shadow education secretary Michael Gove said if the Conservatives were elected, they would change the law to give teachers more support. Schools minister Vernon Coaker: "The government backs the use of force that is proportionate"
"It should be the case that, rather than teachers having to demonstrate the force that was used was reasonable and proportionate, the automatic assumption should be that you trust the teacher's judgement," he said. "And that they feel empowered to use whatever force they consider to be appropriate in order to pull apart pupils who are misbehaving, and if anyone has a complaint, then the onus of proof is on the complainant, not on the teacher to defend themselves." But National Association of Head Teachers general secretary Mick Brookes said there was no need for compulsory training in schools because many never saw a violent incident. A DCSF spokesman said newly qualified teachers were given support in their new roles to ensure they had the skills they needed. They also had to meet professional standards in how to deal with difficult behaviour. A spokesman said. "In his recent review, Sir Alan Steer said that behaviour standards have improved and are good in the majority of schools. "We are determined to tackle poor behaviour and raise overall behaviour standards - that is why we have given schools clearer and stronger powers than ever before to ensure good school discipline."